You’ll see our sign at the curb at the entrance to the theater. We also meet throughout the week in gospel communities in people’s homes. Click here for more info on those. Our weekend gathering goes from 10:30 am to 12:15 pm. Arrive early and enjoy some coffee and meet some folk. Our gospel communities meet on different days and at different times. Click here for more info on them. Come as you are! 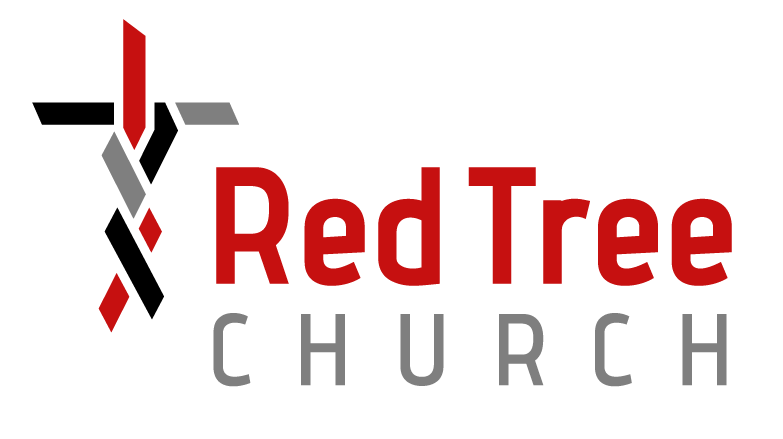 Red Tree Church seeks to be welcoming of all people because the good news of Jesus is good news for all people. To this end, we seek to create a comfortable and casual atmosphere. Dress however is comfortable for you and come ready to enjoy some coffee and meet some new people. We offer childcare during the gathering up to age 6 and all children who attend the gathering are offered an activity bag with activities connected to the weekend’s topic. You can expect our gathering to be a celebration of the gospel involving times of prayer, scripture reading, singing, preaching of the word, communion, and response. If you visit us during a weekend gathering, check out the welcome table in the lobby. There will be information on our schedule, ways to get involved, and a gift for visitors. You can also always fill out a digital connect card here and a pastor will contact you to help you get plugged in. Hey friends, we’re cancelled this am. Stay warm and safe. We’ll see you all in Gospel Communities this week! CONNECT WITH US. There are countless ways to serve and worship at Red Tree Churches. Please visit our contact page or talk to a pastor about local and global mission opportunities, hospitality, music and childcare during services, joining a gospel community or student community, and discipleship.